Tekken 7 – New Latin American Female Character Revealed! Just revealed from TGS on the MadCatz stream, a new Latin American female character has been added to the roster for Tekken 7! This character will also be available during the location test taking place in Japan from October 3rd to October 5th. Harada has said that the character will be beginner friendly. What does that means exactly? We will have to wait and see. Also, they mentioned that she will have a sassy attitude, and talk a lot while fighting! Additionally, a SECOND new character will also be available at the location test and has characteristics of a 2D fighter! Also mentioned is that they were doing lag tests between Seoul, South Korea and Japan – possibly for arcades? Very interesting if true! Hey guys, last weekend was San Diego Comic Con. Bandai Namco had a fighting game panel in which they talked about a bunch of stuff for an hour including Rise of Incarnates, the CGI opening movie for Tekken 7, and finally more details about Tekken 7 itself. You can catch the full panel on the Youtube Channel, or if you’re just interested in a quick recap of the Tekken 7 information, check it out below. BTW, shoutout to all of our subscribers as we recently crossed the 20k barrier. 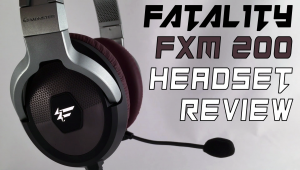 Thanks everyone and if you haven’t already done so, please subscribe! With Tekken 7′s reveal trailer at Evolution 2014 there was a lot to take in. There’s the whole storyline with this introduction of Kazumi plus the news of the engine switch to Unreal Engine 4, so I thought I’d put together my thoughts in a couple of videos. 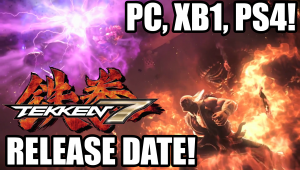 Lets not forget that July 25th at Comic-Con we will be receiving more information about Tekken 7 as well! The Comic-Con page mentions that Harada will be joined by a special guest – could it be Ono!? Will they reveal Tekken x Street Fighter at Comic-con? After all, it was Comic-Con where they first unveiled Street Fighter x Tekken, so anythings possible! 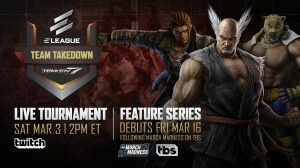 Hey guys, as you’ve probably heard by now Tekken 7 was announced at Evolution 2014 this past weekend! 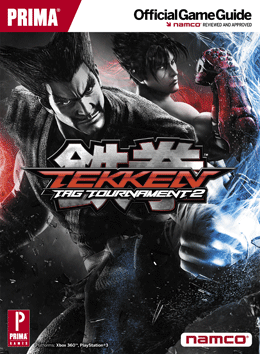 Some of the more interesting bits about it are that it is running on the Unreal 4 Engine and that This was a bit of a surprise as a lot of people had been expecting Tekken x Street Fighter, which Harada mentioned as still being a work in progress. The announcement trailer has been out since yesterday and you can catch it after the jump. Since I was at the event, I got a recording of it as it debuted in front of the Evolution crowd, so you can experience it with the crowd reaction below! What changes do you guys hope to see in Tekken 7?